This is the only softwood that we recommend using as it is ‘engineered’. This is a process where several pieces of softwood are glued together with opposing grain directions to form a single ‘laminated’ piece, this in turn leads to a very stable product, far outperforming solid generic softwoods. 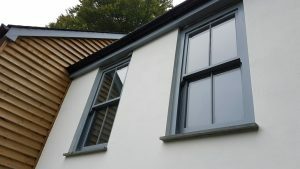 Less movement in the wood means that the paint or finish doesn’t have to flex as much, ultimately leading to longer periods between re-finishing and maintenance of your windows. The process of bonding timber together to create a component that can be used in windows, doors, conservatories or stair cases has been used for over twenty years. However, it has only been in the last ten years that we have seen significant improvements with large European joinery companies investing in the equipment to produce laminated or engineered components in hardwood or softwood to compete against products offered by companies selling UPVC and aluminium clad systems. The UK window and door market has been dominated by UPVC and composite products for the past 15 years. However, with the increase in availability of laminated timber components this has allowed the larger joinery manufacturers to produce high performance windows and doors in timber that offers a sustainable and attractive alternative to plastic or aluminium. Timber bonded together in thickness and/or width offers greater stability over solid timber. • Wastage is reduced significantly during the manufacturing process, due to specific width and length availability. • Reduced production costs including labour. • Significant improvement in quality (defects removed) • Full utilisation of every component purchased. • Reduced stock holding • Reduction in waste removal. Contact us for a quote to see for yourself how competitively priced our Timber windows are in comparison to UPVC. 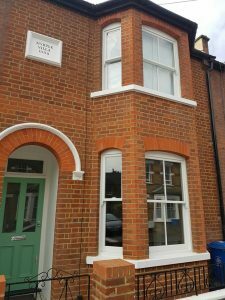 Timber Windows are an exquisite feature of any modern-day London property. The period properties found in this area of the country are iconic with their large Timber Sash Windows and the history of them is rather grand. Timber Sash windows are first believed to have been used in the late 17th century. Earlier than this heavy timber casement windows were normally used. 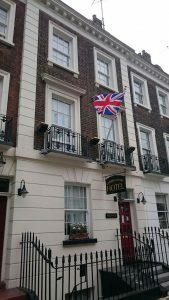 In the early eighteenth century, the superiority of the timber sash window meant that sash windows became predominant, in fact some owners of houses of earlier dates, replaced their casement windows with timber sash windows. 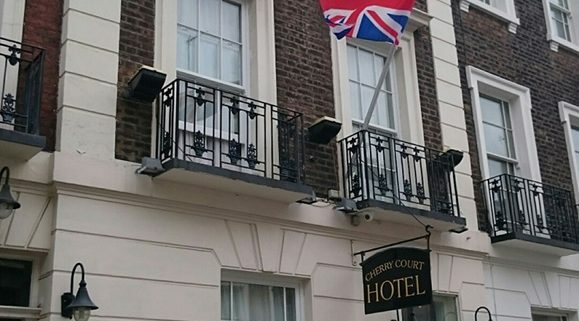 This can lead to 16th and 17th century houses being mistaken for Victorian properties. Some of the very earliest sash windows did not have weights and pulleys, but more often the lower sash was held up using timber wedges. The window tax of 1746 was repealed in 1851, as a result of this house builders started using more timber windows and the popularity of the Timber Sash window boomed especially in London. In the Georgian period, smaller panes were used in the sashes. Typically, this was 6 panes over 6 panes, although larger timber windows would have had to use more panes simple to cover the size of the apertures. During the Victorian period the development of polished sheet glass in 1838 revolutionised the manufacture of Timber Sash windows, the use of larger sheets of glass became possible, with fewer glazing bars. This coincided with the use of “horns” to strengthen the frame. During the 1870’s four paned timber windows became the norm, followed by 1 over 1 sashes. A late revival in the use of smaller panes took place at the end of the 19th century, along with the use of multi-paned upper sashes over single paned lower sashes. Please feel free to get in touch with us to obtain a quote for Timber Windows. Obtaining a quote for Timber Windows has never been easier. The old method of contacting a window company to attend your property and measure up whist providing you there highly polished sales pitch is now redundant in our opinion! Online sales of everything has taken a huge leap in recent years and buying timber windows is no different. When customers start their journey for purchasing windows they generally have a very good idea as to which windows they want to buy. We believe that it is not necessary to attend people’s property and present the highly polished sales pitch in order to put pressure on people to buy windows and doors. Here at Timber Windows Direct we started sales via EBay and have grown into a very respectable online business. Customers can roughly measure up their own windows to provide us rough measurements to quote them on – we will then attend the property and complete a full window survey to ensure the production measurements are correct. This process removes the pressurised sales techniques that some companies use. 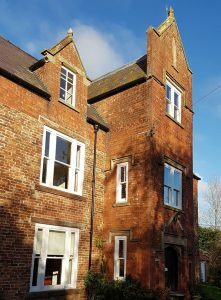 www.timberwindows-direct.co.uk provides many photos of our completed projects and the various types of windows that are available to the customer. We are more than happy for our potential customers to come and see us and view our windows prior to placing an order as we are fully aware that some people wish to see the finished product prior to committing to an order, we are based in Bracknell Berkshire so please come and see us if you wish? If you genuinely feel you need to have someone attend your property and conduct a full window survey then please get in touch and we will arrange for someone to attend and measure up but rest assured it will come with help and recommendations but no polished sales pitch!